It is quite ironic. A few blokes from a place that was attacked and bombed by some countries goes and buys an AK from another bloke who's country was bombed by the same other countries. Talk about blowback. 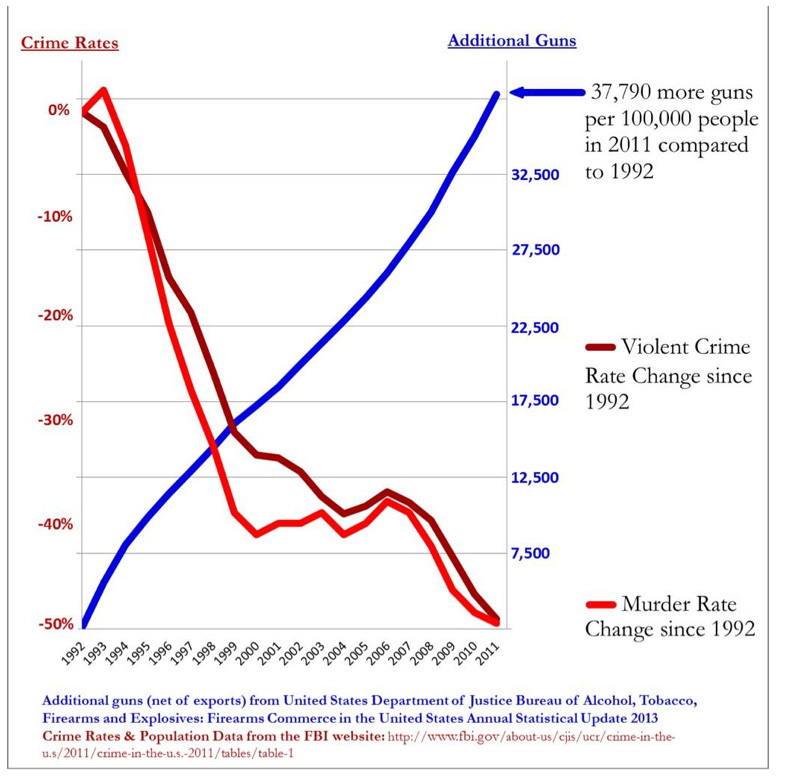 Anyway, all around gun control failure? Hmmm, I got 500 euros, but I'm not wasting it in an ak 47, maybe something more useful like smoky black colour for warlight. Anyways, gun control doesn't mean ppl don't have guns. It also won't prevent anyone from getting one, there will be always ways to put your hands in guns. It's just that you need to be somewhat smart to find these guns, that's already an effective way of preventing morons from putting their hands in guns. It criminalizes any folk who have guns and want to protect themselves, doesn't lower murder rates and as you said, can't prevent terrorism. There's no worth in these policies. Also, human morons are pretty smart still. They can get a gun from a Serb just as well as an insane man most likely. I thought most of Europe has these massive gun restrictions. Not really, that's a myth. Even though there's tight gun restrictions in some countries, it's not like the government took away the guns that were already in circulation or that you can't get guns at all. See? 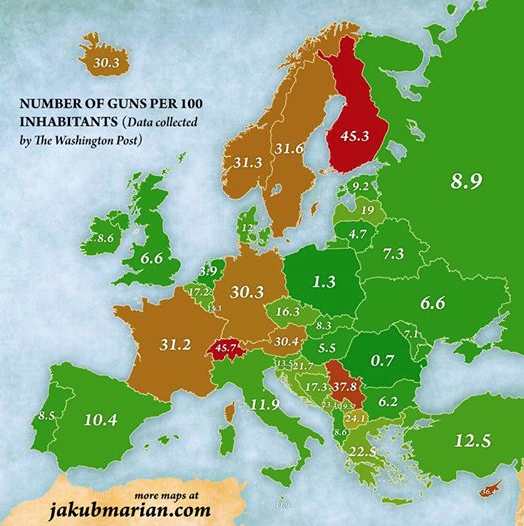 Europe has a lot of guns. Not US-level, but still a lot. 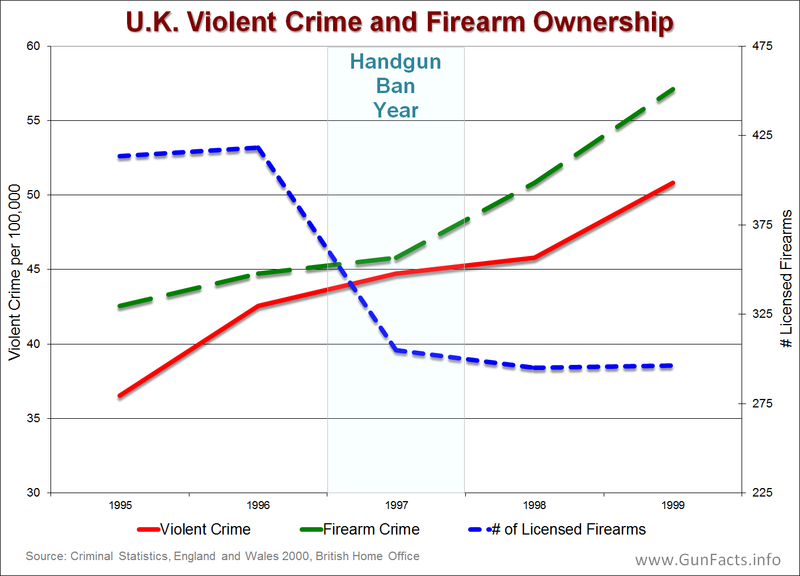 The major difference is that there's no gun culture, and europeans don't use their guns as a toy like americans do. Folks aren't pround of having guns and it's not like anyone pretend these guns make people safer. A lot are used for hunting purposes only or are remnants of the world wars. Automatic weapons are also very rare when compared to the american counterpart. All of this contributes for a smaller gun violence, mass shootings and accidents in general. And when terrorist makes attacks, most of the time they will need to buy guns from Albanian/Bosnian/Kosovar contrabandists, which require funding and some knowlage of the underground black market, all of which reduces the chances of terrorist attacks as not everyone can become a terrorist unlike what happens in the US. We need a bigger gouverment that can track these illegal activities! Neh, more govermnent surveillance of illegal activities has little effect, and rather more negative impact than good one (see US and the NSA thingy). I wouldn't trade freedom for more safety, that's a hole that will never close and will only keep getting bigger. Europe is already safe enough the way it is, people overexagerate the violence problem, mostly because of the media and the far-right hatred speech. We need less TeamGuns to make our country safe again!!!! Grmbuarghh ! There were four shootings last year that met the definition of mass shooting in the US. I.E, they had more than four deaths, and weren't domestic violence/gang/drug related. France had four shootings last year that met the definition used here. Automatic weapons are also very rare when compared to the american counterpart. Automatic weapons are extremely regulated in the US and few have them. Also I wouldn't trade my right to bear arms for safety and gun control just makes things more dangerous anyway kek. So you're trading freedom for more danger, great deal I r8 8/8 would make again. Don't know why you're only counting big shootings, but in America, 3.4 folk murdered by guns for every 100k, while in France, it's 0.2. Again the type of killing isn't really relevant. You're just cherrypicking to support your argument.